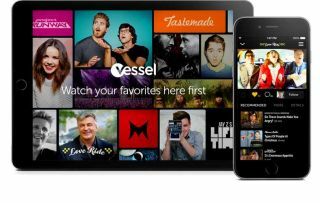 Vessel video streaming: Invite-only public beta now open | What Hi-Fi? A brand-new online video streaming platform designed to take on the likes of YouTube has taken a step closer towards its full launch after announcing details of an invitation-only public beta. The service is called Vessel and has been established by former Hulu executives Jason Kilar and Richard Tom, with a casting call for short-form content creators issued last month [December]. Now the platform is edging towards its full-blown launch after Vessel confirmed that it'll be inviting users to try the new service on iOS devices or computer. An Android version is in the pipeline. Vessel claims that beta users will be offered "early access to the web's best short-form videos in a beautiful, cinematic environment" across a range of genres and for a $3 monthly subscription. According to Vessel, 60 per cent of subscription revenues will be distributed to creators – and that allocation will be "based on a creator's share of minutes spent watching videos". Meanwhile, 70 per cent of advertising revenue generated against a creator's content will be given to that creator. There will also be a referral programme for each subscriber a creator attracts. The minimum early access period for Vessel videos is three days, although that can be extended. After the early access period ends, the videos will remain on Vessel's free, ad-supported service. In a blog post, Kilar said: "The Vessel experience was designed for mobile devices, which enable fans to snack on videos wherever and whenever they want. "Our vision is to make Vessel accessible anywhere fans have an internet-connected screen, including gaming consoles, set-top boxes and smart TVs."